You know, I was having a hard time thinking of what movie to open with. What ’60s movie do I like? Then I stupidly remembered The Birds. Of course! This movie is one of the best Alfred Hitchcock movies ever. I simply adore this film so much. It has everything that makes up a good film. And I can just watch it over and over again. So I don’t remember what exactly got me into Alfred Hitchcock, but I became obsessed with his films. I do know how I was introduced to The Birds. It was through Ann M. Martin, author of The Baby-Sitters Club. I loved the BSC books as a kid and read them all even belonging in the reading club that sent you two books a month and a little newsletter. I don’t remember if the newsletter or a book mentioned it, but I remember reading a note by Ann M. Martin about how she loved the film The Birds and because no one she knew had a VCR they could only watch it when it was on TV. Whenever it aired they would plan a sleepover and watch it with friends. I became consumed with the idea of watching it, did and loved it. It was the first Alfred Hitchcock film I ever owned, me ordering it and planning on purchasing one every year on my birthday or Christmas and having the whole collection when I was an adult (did not happen sadly). Later, a friend of mine. knowing how much I loved it, took me to Bodega Bay so I could see it in person and all the sites used in the film. It was so cool seeing everything and I later took many more trips out there. Here I am with the house that is used as a schoolhouse in the film. I blurred myself out as there are a lot of weirdos on the internet, no offense dear readers. They also used to have a museum full of things from the movie and marketing/promotional materials, but it always had weird hours, then they closed it, then they had an awesome shop which doubled as a mini museum-but then the person died who owned it and the collection moved. Here I am with an item when they still had it. Back in 2011, Tippi Hedren actually came out to do a promotional thing at Bodega Bay. I lived near there when I was going to school, but unfortunately I could not go and meet her as I had scheduled a trip home to be with family. However I had truly amazing and awesome friends who went out and stood in line and got her autograph my DVD. I tried to pay them back, but they would not let me know the price if it or let me do so. So that’s enough background, let’s move on to the review! 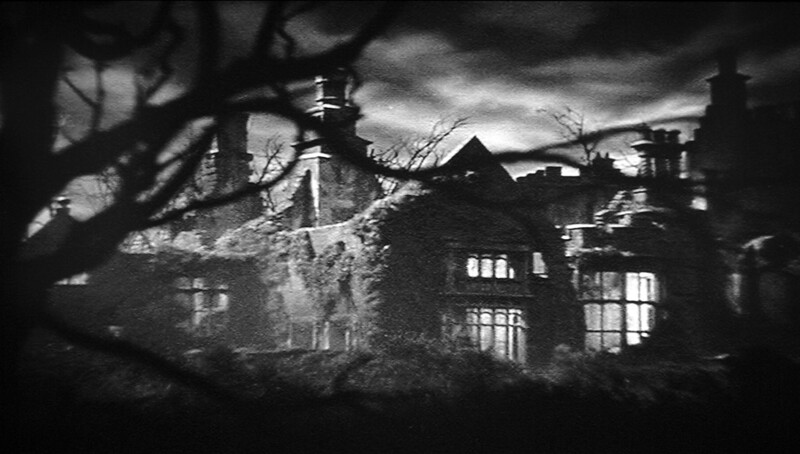 The film is based on a book by Daphne Du Maurier, this being the third of her works being published into a film-following Jamaica Inn and Rebecca. However, this story and her story have nothing in common besides birds attacking. And before we discuss the film, let’s watch the trailer. So the film starts off in San Francisco where we have Melanie Daniels, Tippi Hedren, going into a bird shop to pick up her myna bird. Melanie notices a lot of birds in the air, thinking it odd, but moving along. Unfortunately her bird has not arrived yet. The shopkeeper goes to call and she waits along at the desk. In walks the gorgeous Rod Taylor, and Melanie decides the same thing. Pretending to be the shopkeeper so that she can talk to him and put the moves on him. He wants lovebirds for his sister’s birthday. He can tell she is not a shopkeeper but is trying to embarrass her, asking her questions she has no clue to the answers. When he asks to see a love bird it escapes around the shop causing havoc. And the real shopkeeper comes out to try and catch it. He reveals to Melanie that he knows who she is and has been playing her the whole time. It turns out that she went to court over a broken glass window and he was there too. He’s a lawyer and believed she should have served time for what she did, not gone off scot-free because she is a wealthy woman with a famous father. She’s offended, but not so that she takes down this handsome man’s license, has a friend of her father run the plate, buys him lovebirds,and tracks down the address of a Mr. Mitch Brenner. She’s got it bad, and is slightly creepy-but I kind of understand as Rod Taylor is a dreamboat. Who wouldn’t want to run into him again. She brings the birds to his house and plans to leave them outside with a cheeky note, but his neighbor informs him that Mitch is gone for the weekend to visit his family in Bodega Bay. A little funny that neighbor knows so much, but hey this is the ’60s. People actually knew their neighbors. So Melanie drives the curvy winding coast road to Bodega Bay, which I have done plenty of times, and I always thought it was weird that the birds never flap around but just move with the vehicle. They don’t act like normal birds. It has always been my theory that they are the demon seed that start the revolution against people. They are just too quiet and creepy. She goes to the post office, which you can visit, so that she can find Mitch’s address. The postmaster shows her the way to go. When you go now everything is compeletly different, but you can still look across the water like she did. The Tides restaurant still exists, although it has been redone as there was a fire. In fact they were allowed to use it for filming only if the main male character was named after the owner of the Tides, Mitch Brenner. So yes, that is how Rod Taylor’s character got his name. Melanie asks for the name of Mitch’s sister, but the postmaster doesn’t know. He directs her to the school and the schoolteacher, Annie Hayworth (Suzanne Pleshette), to get the actual info. Turns out the name is Cathy. Annie asks Melanie a few questions about her relationship to Mitch. Hmm, sounds like there is some history there. 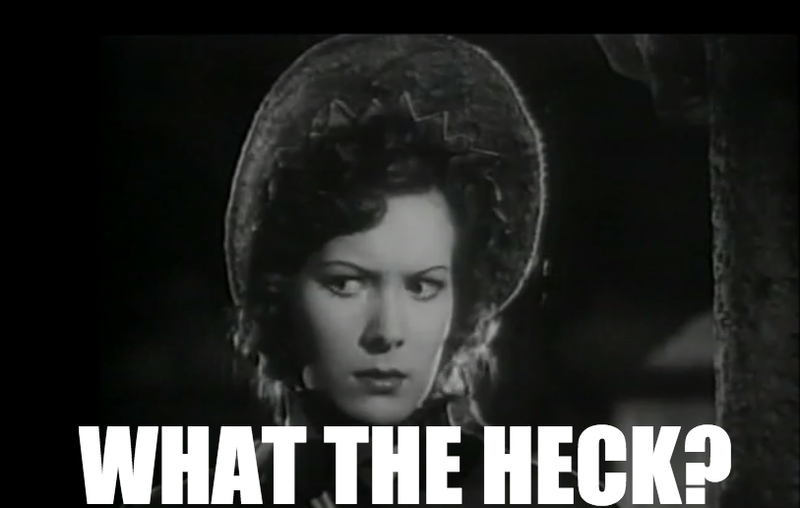 Annie Hayworth: Did you drive up from San Francisco by the coast road? Melanie Daniels: It’s very beautiful. Annie Hayworth: Is that where you met Mitch? Annie Hayworth: I guess that’s where everyone meets Mitch. Melanie heads out into a rented boat with the birds. She sneaks up to their house in heels, not an easy feat, goes into the house and drops off the birds. Now Tippi Hedren may be a beautiful woman but I would be extremely creeped out if someone did that to me. I mean she doesn’t even know him but tracked down not only Mitch’s home address, but boyhood address. A bit creepy and stalkerish. As Melanie heads back across the bay, Mitch takes his car to meet her. ******Can I stop and go on a slight sidebar here? Feel free to skip over if you wish. I just love Rod Taylor in that white sweater. I don’t know what it is but he is extra dreamy. So Melanie gets dive-bombed by a gull, and pretty badly hurt and bleeding. Head wounds are the worst. Here is were I guess it starts, the first shot in the revolution. Back to the film. They go into the resturant where Mitch tends to her wounds. She questions him, wile he tries to get to why she came. Melanie tries to play off her stalkerish by saying it was on the way to visit Annie, the schoolteacher, but Mitch knows that its a lie, therefore confirming to us that there is something between Annie and him, or was. Melanie tries to play it cool, but she can’t hide the fact she had the serious hots for him. Come on Melanie, you tracked him down-don’t try to be haughty. Mitch’s mom Lydia comes in and is introduced to Melanie. Lydia is the original ice queen and horror future-mother-in-law. Ouch. And Jessica Tandy is a great actress, one line “Oh I see”, packed with serious weight. Let the games begin. Melanie is trying to head home but get tricked into coming to dinner as “she was staying the weekend” and won’t give up her lie. A girl has her pride after all. She goes to Annie’s and wheedles staying there for the night. She tells Annie that she didn’t plan on staying long, which Annie replies she knows. That’s weighty right there, she knows as she didn’t plan on staying long either. Melanie goes to dinner and meets cute little Cathy-friendly, cheery, adorable child. They mention that there is something wring with the chickens, They don’t like the feed…maybe because they are craving something else…like human flesh! When Lydia calls her supplier it turns out her chickens aren’t the only ones on hunger strike. She agrees to see the farmer tomorrow to see if something is wrong with the chickens. And there is! I love how Alfred Hitchcock plays the foreground and background against each other, both parts having things happen that go with the story, important, tension building, and just plan good. We also found out that law and order Mitch is a defense attorney for “hoodlums and criminals”, interesting. Definitely a deep character. Wow, there is more to him than I thought. Cathy invites Melanie to her birthday party the next day, while in the kitchen Mitch and his mom start talking. They have a slight weird relationship as in someways his mom speaks to him as a child and in others their relationship is more spousal. Not that anything incestuous is going on, but as if that is the role that his mother put him in after his dad died. We find out that there is a lot of interesting things in Melanie’s life. She jumps into fountains naked, tours Europe, and is always in the papers. A 1960s Sabrina van der Woodsen Debutante thats always doing something. Mitch roots out the truth from Melanie about Annie, and starts goading her about her past misadventures, but Melanie isn’t having any of it. Good looks can only carry you so far Mitch. Mitch Brenner: What about the letter you wrote me, is that a lie, too? Melanie Daniels: No, I wrote the letter. Mitch Brenner: Well what did it say? Mitch Brenner: But you tore it up? Melanie Daniels: Because it seemed stupid and foolish. Mitch Brenner: Like jumping into a fountain in Rome? Melanie Daniels: I told you what happened! Mitch Brenner: You don’t expect me to believe that, do you? Melanie Daniels: Oh, I don’t give a d*** what you believe! Mitch Brenner: I’d still like to see you. Mitch Brenner: I think it might be fun. Melanie Daniels: Well it might have been good enough in Rome, but it’s not good enough now. Mitch Brenner: It is for me. Melanie Daniels: Well not for me! Mitch Brenner: What do you want? Melanie Daniels: I thought you knew! I want to go through life jumping into fountains naked, good night! We see the creepy birds watching from phone lines, congregating at the barn-waiting for the call to strike. Not gulls but you understand the feeling. Back at the house Annie and Melanie have brandy and Annie tells her her story and what happened. She met Mitch in college and fell in love, followed him here but Lydia got in the way. She kept them apart. She doesn’t want a daughter-in-law, she just wants her children. Annie didn’t want to lose him and stayed out here. Then Mitch calls his ex-girlfriend for his new one. Ouch! Melanie is apologized to and invited to the birthday party agreeing to come. Both Annie and Melanie are surprised when a bird crashes into their door. At the party Mitch takes Melanie off to the side with alcohol. She wants to head home as she has work. On Mondays and Wednesdays she works at the airport, on Tuesdays she takes classes, on Thursdays she has her club and lunches supporting a child through school, etc. Normal society things. Appears there is more depth to this party girl. Hmm…I wonder if the creators of Gossip Girl have ever watched this. Mitch makes a joke about a mother’s care ad it turns out she has serious mother issues. Her mother abandoned them at age 11. 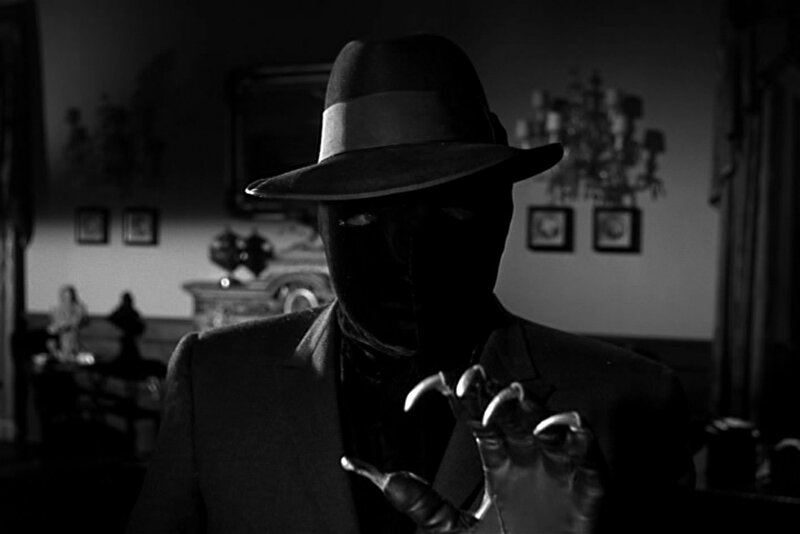 A theme of mother’s issues is nothing new to Alfred Hitchcock as he himself had a ton and used the theme in many films, the most famous being Psycho. At the party they are playing a game when the gulls show up and start attacking all the kids. Dive bombing and scratching. They try to help shoo them away and get everyone into the house. Mitch is worried for Melanie ands invites her to stay the night there to be safe. And seriously, I think it is the love birds. Even with the cloth over them that should put them to bed as it is “night” they still squabble like crazy stopping only, when Cathy remarks on them. And just after, tons of sparrows come down the chimney attacking them. All cower in fear while Mitch tries to fight them off. Melanie moves Lydia and Cathy out of the room, to safety. After the attack and birds are gone they call the police, but there is nothing they can do about it. The next morning, Lydia takes Cathy to school and then heads out to question the farmer about the chickens being sick. Lydia goes in looking for him and instead sees broken teacups, just like how hers were destroyed by the bird attack. The rooms are quiet and face the same destruction as hers and then she sees it! Him, the dead birds, his eyes! So freaky the first rime I saw it. Oh, and still remains a scene that terrifies most. Traumatizing children for all time. Lydia races home and leans on Mitch, telling him what happened. Mitch heads over to the police that are called when he and Melanie have some very tender intimate moments. Relationships speed up when danger mars your every moment. Lydia is worried over Cathy, with the large windows at school and the broken ones at the dead body looming in her mind. We see another side of Lydia as well, more vulnerable, worried-maybe Mitch comes home not just to help his mom but because without his aid they would loose the land. Hmm…thats one thing I love about this film, on the surface it is one thing but there are many sides to all these characters. Lydia asks Melanie to pick up Cathy as she is very worried about her and Melanie heads out right away. Melanie goes to the school, but decides to wait a bit until recess. The kids are singing and she stays outside when we have this amazing scene. Melanie runs in and warns Annie about the jungle gym. Annie tells them they are conducting a fire drill as not to scare them and directs them to run to different places. Of course the birds attack. Poor kids. Melanie ends up in the diner calling her newspaper mogul father and telling him the story of what happened, All listening to every word she is telling her father. We are introduced to Mrs. Bundy (BUNDY AHH) who is an ornithologist and for the birds, Giving us some serious information on the birds. Traveling Salesman: Gulls are scavengers, anyway. Most birds are. Get yourselves guns and wipe them off the face of the earth! Mrs. Bundy: That would hardly be possible. Deke Carter: Why not, Mrs. Bundy? Traveling Salesman: Kill ’em all. Get rid of the messy animals. Mrs. Bundy:…probably contain more than 100,000,000,000 birds! We get a bit of debate as a Captain interjects that he also hates birds and wishes they were all gone, them having attacked one of his ship captains. Melanie states that the birds are killers after the kids. Everyone keeps talking down to Melanie as she tries to tell them that it wasn’t just a few but a ton and a series of different kinds. Mitch shows up asking for Kathy, who is at Annies. Just as they argue the birds attack again. Mitch tells Melanie to stay behind as they take out a guy pumping gas causing it to flow over the ground. An unsuspecting smoker sets it off and boom. This causes a big sign that the other birds can see and they all come in swarming. The pyre’s have been lit. All go out of the restaurant (Why? Don’t know) and we have the famous telephone scene. They actually have a telephone booth and Tippi Hedren mannequin at one of the shops there and you can get a picture with it. Mitch gets her out and they head back to the restaurant. Hiding with others. Mrs. Bundy, I notice you are quiet. Not talking down at her anymore are you? One of them is hysterical, blaming Melanie. In a way I believe she is right. Although it isn’t Melanie, but those love birds. Mitch and Melanie run to the schoolhouse to get Cathy finding Annie’s dead body. Cathy is safely inside, but utterly traumatized. Mitch carries Annie inside and covers her with his coat. Then the three speed off to the Brenner house. At the Brenner home, Mitch patches up the openings, prepping the house for an attack. He notices that there appears to be a pattern. They attack, disburse, regroup, attack again. Why? Melanie tries to contact her father but the lines are cut. The birds isolating them and making it unable for them to reach anyone or get even local radio. Lydia starts to freak out wanting answers, the tension exploding. All are succumbing to it. Cathy wants the love birds with her, NOOOO nor those evil things. Even now they are probably plotting. Now they wait, trapped. Kathy gets so anxious she makes herself sick. Then they wait again. Hearing them, being taunted by them. We have the first attack of gulls breaking windows and trying to peck through the door. Mitch being the one to take action and stop them. Then Melanie goes up to the attic. Poor Melanie. they tend to her, but she is banged up. This scene was horrible to film. Seven days of birds being thrown at her, again and again. Mitch uses this time of quiet to plan an escape. Melanie needs a hospital, so he and Cathy start getting things ready, not knowing what will face in the outside world or if they will be able to ever come back. I like how Hitchcock ends the film with us not knowing if they make it out okay. We never know if everything will go back to normal. What or who caused this? I think it makes the film stronger and gives you the opportunity to create your own theory from each of his clues. If they had given us an answer, it probably would have been lame no matter what was chosen, we would have found faults. Sometimes it is better just not knowing. So there we go, believe my theory or create your own. Either way watch the film. This film changed how I look at birds. I never liked them before and hated them ever since. I’ll never look at another the same way again. Especially when they get in large groups or swarm overhead. After I showed this film to some friends who had never seen it, a few days later we were shopping at a store. As we are leaving, my one friend looks behind us at the store and goes ashen. She freaks out and tells us to run. As we are I look back and see a ton lined up on the store watching, then deciding to take off. We all ran as fast as we could to the car struggling in, and speeding home. Nothing happened, but a film like this just sticks to you. So this kicks off the beginning of Horrorfest VII. I hope you enjoy it and the spooks. 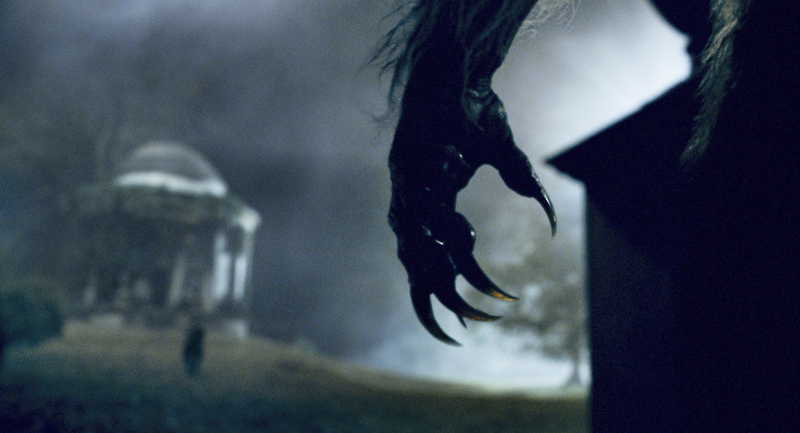 thrills, and chills that are to come. 31 Days of horror, suspense, mystery, film noir, monsters, ghosts, Alfred Hitchcock, Lifetime, aliens, witchcraft, murder, cyborgs, and more. Last year Horrorfest was a bit of a downer. My charger broke and I tried to catch up but only was able to do like 17. This year I am working overtime to be sure that I have them all finished. A couple years ago I put Jane Austen in a costume and added it to my Horrorfest tradition. Last year I Moreland dressed up as Sherlock Holmes, so I decided to have Jane do so this year. For more Sherlock Holmes, go here. The ghosts are moving tonight, restless… hungry…In just a moment I’ll show you the only really haunted house in the world. I have been trying to review this film since the first Horrorfest, but something always seems to gum up the works. 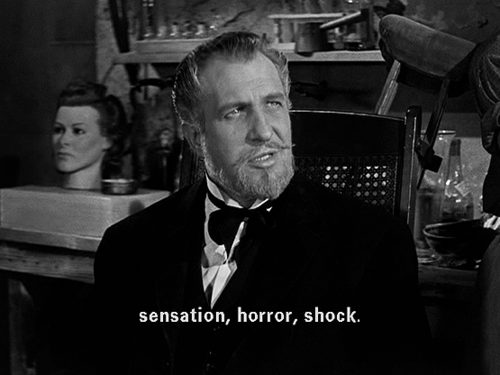 This is one of my all time favorite horror films and my favorite Vincent Price film. Years ago I was at a yard sale, where I found this film, along with: Invasion of the Body Snatchers (1956), The Wolf Man (1941), The Stepford Wives (1975), Rebecca (1940), The Phantom of the Opera (1943), North by Northwest (1959), Family Plot (1976), Lifeboat (1944), The Creature from the Black Lagoon (1954), Notorious (1946), and The Night of the Hunter (1955). I had never heard of this film, but if it has Vincent Price you know I’m all over it. So do you dare continue on? So the film starts off with the scariest opening I have ever seen. All we have is a black screen and screaming from men and women. Can you imagine hearing that full volume in a darken theater? I can imagine people were freaking out. 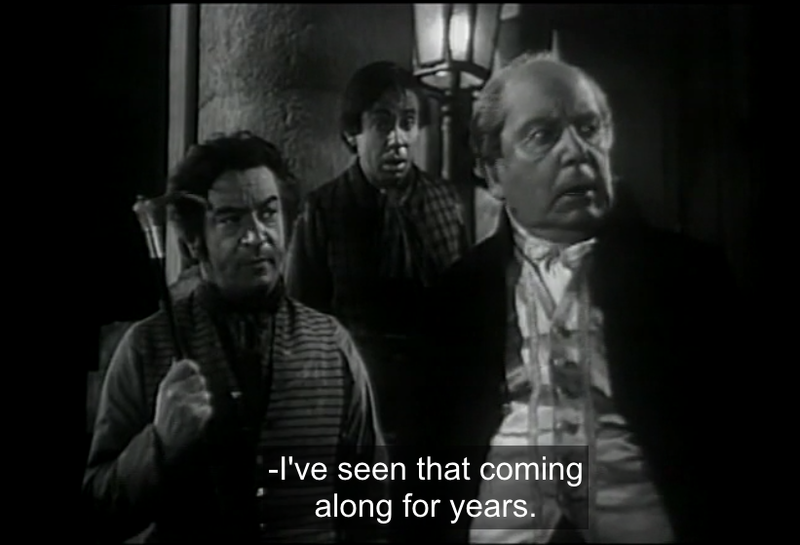 Watson Pritchard:The ghosts are moving tonight, restless… hungry. May I introduce myself? I’m Watson Pritchard. 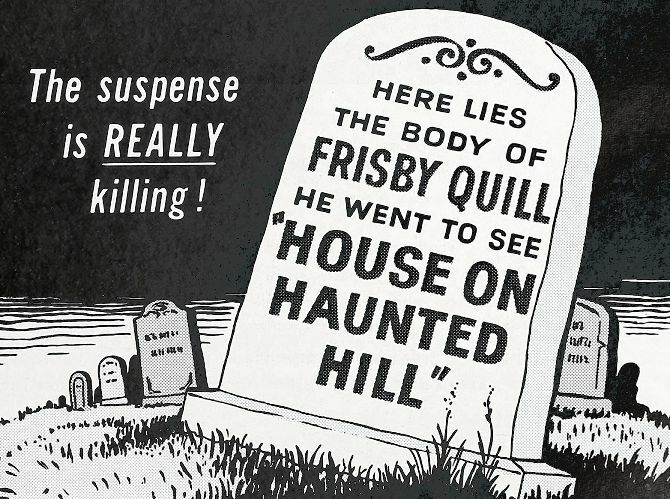 In just a moment I’ll show you the only really haunted house in the world. Since it was built a century ago, seven people, including my brother, have been murdered in it. Since then, I’ve owned the house. I only spent one night then and when they found me in the morning, I… I was almost dead. inviting five people to attend and promising them each $10,000 if they stay the whole night. And it doesn’t stop there. It turns out that all is not happy with the Loren life. Fredrick is angry with his wife as he believes her to be a gold digger and trying to murder him. 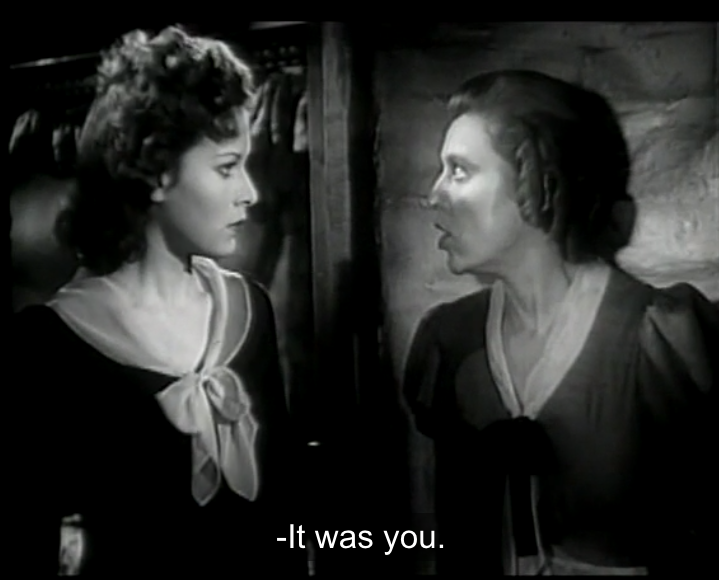 Frederick Loren: Do you remember the fun we had when you poisoned me? Annabelle Loren: [laughs] Something you ate, the doctor said. 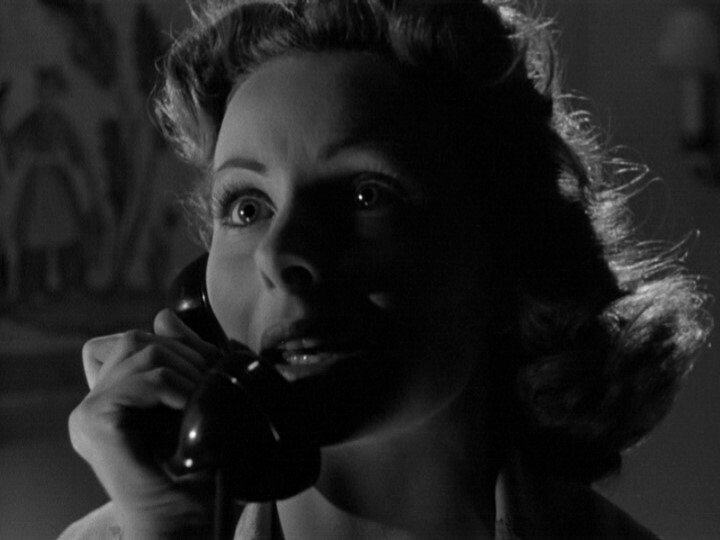 Frederick Loren: Yes, arsenic on the rocks…[grabs Annabelle] Annabelle, you’d do it again if you thought you’d get away with it, wouldn’t you? But Annabelle (Carole Ohmart) says that he is a jealous, crazy psychopath who has already killed three wives and is going to add her to his dead list. Annabelle Loren: My husband is sometimes insane with jealousy. Nothing matters to him! Lance Schroeder: Would he hurt you? Annabelle Loren: He would kill me if he could…You know, of course, that I’m his fourth wife. The first simply disappeared; the other two died…All his doctors said heart attacks. Two girls in their 20s. Lance… I don’t want to join them. Who is telling the truth? Who is lying? And which is a killer? We are given the history of the house with its gruesome murders, from beheadings to being thrown in acid. They are locked in with no way out, one guest is nearly strangled to death, one having a nervous breakdown, and one murdered! Which one is the killer? Or is it a ghost? Watch it yourself to find out. 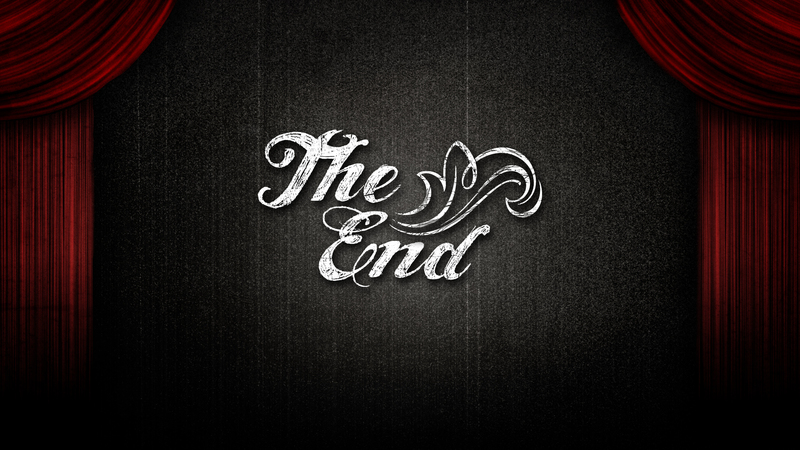 I will not ruin the ending of this masterpiece. By the time this posts, I know Horrorfest won’t be finished, so you know what I’ll be doing tonight; but whatever you do I hope you have fun, get candy, and stay safe! So it is once again time for Horrorfest. So this year marks my fifth time doing Horrorfest. Since it is such a huge marker I wanted to do something different. The past four years I have started off Horrorfest with a classic Horror film, working from the 1960s, Carnival of Souls, to the 1930s, Dr. Jekyll and Mr. Hyde. I thought about doing something from the 1920s, or 70s, or starting back in the 1960s; but none of those seemed right. I want this year’s Horrorfest to be different. Unexpected. Unusual. So what will we cover? Let’s see we have Alfred Hitchcock, ghosts, kids with powers beyond their control, murderers, psychopaths, radioactive creatures, robots, serial killers, and more. Check back daily to find out more. DO YOU LIKE HORROR FILMS? As I am gearing up for Horrorfest V, I may be posting a little haphazardly the rest of of September. Just wanted to warn you guys as I try my best to make this year’s Horrorfest: unusual, different, and unpredictable. I’m so excited! I just can’t wait! So stay tuned! So far I have ghosts, psycho killers, mutated creatures, comedy, noir, science fiction; and who knows what else is next to come! So you all know what today is! And you know what that means! All while wearing my Ghostbuster’s T-shirt. 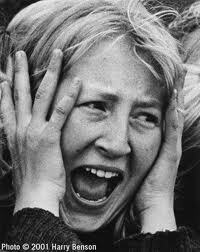 For more on Friday the 13th, go to The Horror!!!! 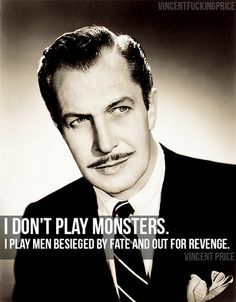 So every year I talk about how great Vincent Price is and how he has made truly amazing films in which he plays a terrifying, horrifying, and thrilling person. As I present to you The Bat! So this is another film off the 50 Greatest Horror Classics Collection, like The Screaming Skull, Night of the Living Dead, etc. This film is based on a play written by Mary Roberts Rineheart. Now I’m not a huge fan of this author, I find her boring, but if Vincent Price is in it, it must be good. So we begin our story looking at a beautiful mansion, The Oaks. Here mystery writer Cornelia van Gorder is staying while she works on her newest novel. But the events that occur here are more mysterious and terrible than anything Cornelia has ever written. Cornelia van Gorder: As an author I write tales of mystery and murder, but the things that have happened in this house are far more fantastic than any book I’ve ever had published. Right away we are sucked in. What happened? So Cornelia is having a hard time keeping her servants. 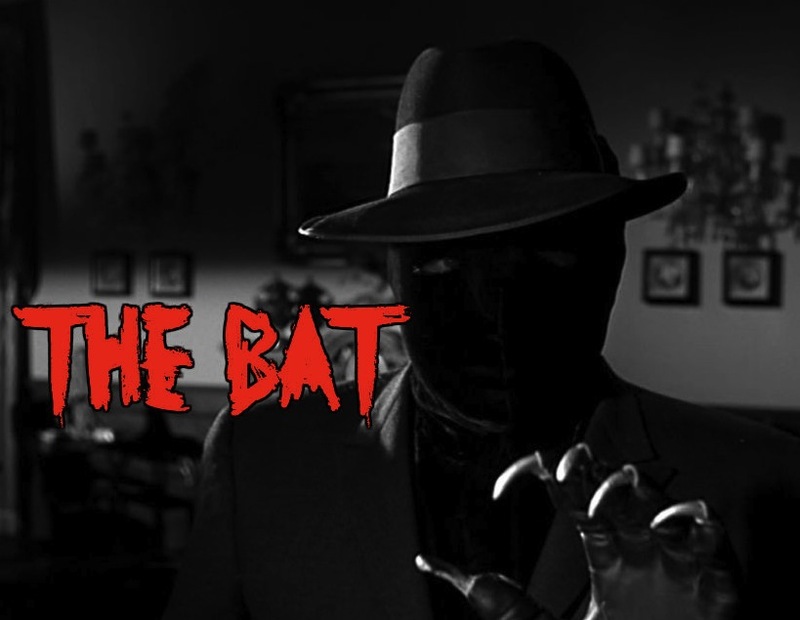 There was a killer called “The Bat”, who was murdering people. There is a rumor that he is back and on the prowl. Cornelia van Gorder: Why? What does it say about the Bat? Lizzie Allen: His specialty seems to be killing women, my goodness, two of them in one night, all his victims died the same way, like their throats had been ripped open with steel claws. Cornelia van Gorder: That’s charming, I’ll have to try it some time. [Lizzie stares at her weird] In a book. 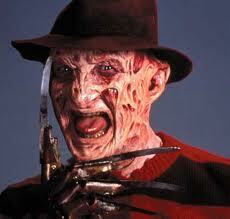 I guess he’s the pre-Freddy Kruegar. To make things even worse, he has been releasing rabid bats into the community. Now Cornelia doesn’t care if the servants are too scared to work there as she thinks the whole thing is silly. If everyone leaves, she’ll just replace them. She and her assistant Lizzie leave to run some errands. When they reach the bank they meet a very surprised Victor Bailey, vice president to the bank. John Fleming, the bank president and owner of The Oaks, said he would never let the place. Cornelia tells them that Mark was the one who actually rented it to them. They then meet Victor’s wife, Dale, who used to be his secretary. Lt. Andy Anderson also comes in and is introduced to Cornelia. Lt. Andy is on the bank board. Interesting…I didn’t think cops that much money. So Cornelia and Lizzie go off to do what they came to do. Suddenly Victor comes back extremely upset and takes aside Lt. Andy and Dale. It turns out the bank been looted over $1 million worth of securities! But who could do this? Only Victor and Mr. Flemming have the keys! Victor wants to call him, but can’t as he is on vacation with his best friend, Dr. Malcolm Wells, on a huting trip on the deep woods with no phone. So then we switch to another scene of two men in a cabin. They are John Flemming and Dr. Malcolm (Vincent Price). Dr. Malcolm Wells: Yes, John? John Fleming: What would you do for half a million dollars? Dr. Malcolm Wells: Anything short of murder. 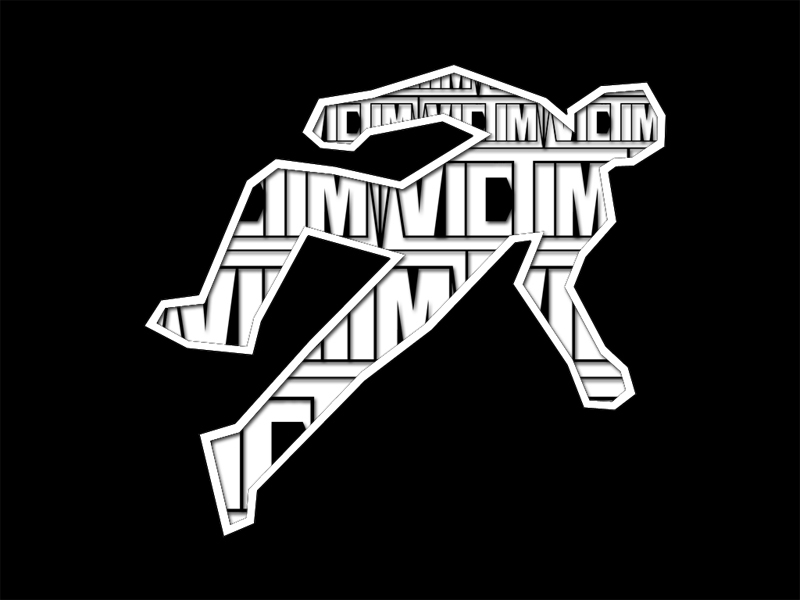 John Fleming: Why not murder? Dr. Malcolm Wells: Too messy. John Fleming: Too great a risk? Dr. Malcolm Wells: For half a million, yes. John Fleming: I pinched a million from the bank. Yes John is the culprit. He embezzled $1 million dollars from the bank, framed Victor, and know is in the stage of how to disappear without anyone realizing he was the thief and hid all the money in his house. And that’s where the Doctor comes in. John Flemming: I have a weak heart. What if you called and said I died, and then ship my body back. We don’t need an open casket. Dr. Malcolm Wells: Where do we get a body? John Flemming: We’ll provide one. We could kill Sam our guide. He’s a hermit and no one would care. Dr. Malcolm Flemming: The local undertaker would know. John Flemming: Not if we mess up his face. Dr. Malcolm Flemming: Why do all this if you set up Bailey? John Flemming: The jury might acquit. I am a logical suspect, and could try to disappear, but it is safer if I am dead. Dr. Malcolm isn’t really feeling it, but John threatens he will kill him if he says no. Better for him to say yes and get a part of the money. While the two are talking, the woods catch on fire. John goes to investigate and when he turns around he sees Dr. Malcolm with a gun. John Flemming: Doctor, we need to get out the back way. Dr. Malcolm Wells: We will, as soon as I provide that body we’ve been talking about. So back at the Oaks, Cornelia is trying to play solitaire but the lights keep flickering. Lizzie comes in with the newspaper. Victor Bailey arrested for embezzlement, John Fleming is dead, and Dr. Malcolm brings the body back to put in tomb this Friday. Meanwhile, creepy things have been going on at the Oaks. Lizzie Allen: This is his house, and ever since he [John Flemming] died, some funny things have happened here. Cornelia van Gorder: For instance? Lizzie Allen: The housekeeper, the cook and the butler said that they heard strange noises at night, and the upstairs maid swore she met a man without a face coming up the back stairs. Cornelia van Gorder: Oh so that’s why they quit and left me to run this place without a staff. Lizzie Allen: They didn’t tell you, Miss Gordy, but the truth is they were scared to stay. So the two ladies are the only ones at home. They have a chauffeur, but he is gone for the night. To make matters worse, it is super windy and in an old house everything seems to rustle, move, and go bump in the night. Lizzie Allen: [The wind is banging a shutter against the house] That ain’t nothing, just something bumping against the house. [Wind blows a door open and closed] That’s just the wind banging the door, pay no attention to it. Listen to this, ‘One of his victims who lived for a moment after she was found described the Bat as a man without a face’. Honestly, Miss Gordy, I think that woman was exaggerating. [A tapestry blows against an open window] That’s just the taphestry at the top of the stairs. Cornelia van Gorder: I know, I know, I’ve heard it before on a windy night [Tapestry clinks a shaking suit of armor] That sounds as if someone were on the stairs, I know there isn’t, at least there shouldn’t be. Lizzie Allen: Them’s just the noises you hear in any old house on a windy night. So while the two go upstairs and continue talking, we see a man at the front door, opening it and sticking his clawed hand in. They see it, lock the door and run upstairs calling the police. They think they are safe, but little do they know the Bat has cut a hole in the glass on the door and has come inside. The officers are on there way, but Cornelia and Lizzie take extra measure. They not only lock the doors, but push all the furniture against the door. They think they are safe, but the transom over the door has no lock, or way for them to keep it closed. Cornelia decides to put something in front of it, that way if someone tries to come through there, they will set off her booby trap. The two women are scared and decide to share the room that night. Lizzie goes to get her night items, but doesn’t know that the Bat is creeping outside her door. Causing Lizzie to run back inside the room. The police search everywhere, but find nothing. They go on guard outside, and the women try to sleep, but are having an extremely hard time. Meanwhile, the Bat has opened the transom and released a bat into the room. It lands on Lizzie biting her, and then flying into the closet. So just knows she is going to get rabies and die. They call Dr. Malcolm, but the answering service can’t get a hold of him. They promise to keep trying and if still can’t will send another doctor. Meanwhile, Dr. Malcolm is home. He is in his lab working on some experiments. He is studying and testing bats. But is he trying to study the bats to find a cure? Or is he trying to find a way to kill the women and get the million dollars John stole? 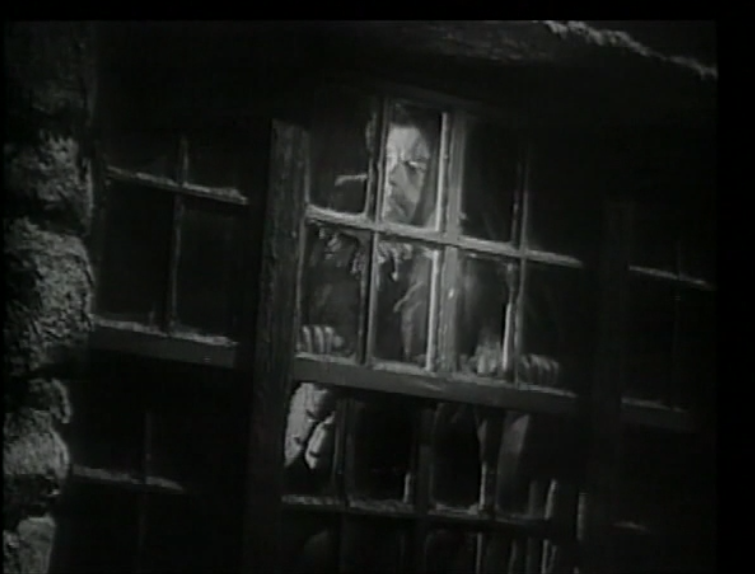 Unbeknownst to the doctor, Lt. Andy is creeping around his house. He touches his car to see if it is hot from a recent drive, looks through the windows, etc. He’s creepin’ in your windows. He’s starin’ at your people. While he is watching him, the service finally gets through and reaches the doctor. He puts the bat away and heads out to help. While he is gone the Detective breaks into office, and looks around. He opens the window shades sees a bat. Does this mean he is the Bat? So it looks like they are trying to say that Dr. Malcolm is the Bat, but I don’t think he is the one as it is too obvious. So the doctor goes to the house and examines Lizzy, asking for the bat to examine and see if it is rabid. Dr. Malcolm Wells: Pity you are in this house. I don’t want to alarm you, but so many unexplainable things happen here. It has an apprehension of disaster. He looks at the bat, but it is not rabid. He places him in his doctor bag and makes plans to return the next day. He starts to leave but sees someone, who’s there? But it is just Lt. Andy. Should we sigh in relief or be afraid? Could he be the Bat? Lt. Andy asks a lots of questions. Lt. Andy Anderson: How did a Bat get in? Lt. Andy Anderson: Well you should know. What is he implying? A Bat lover? Or The Bat?!!! 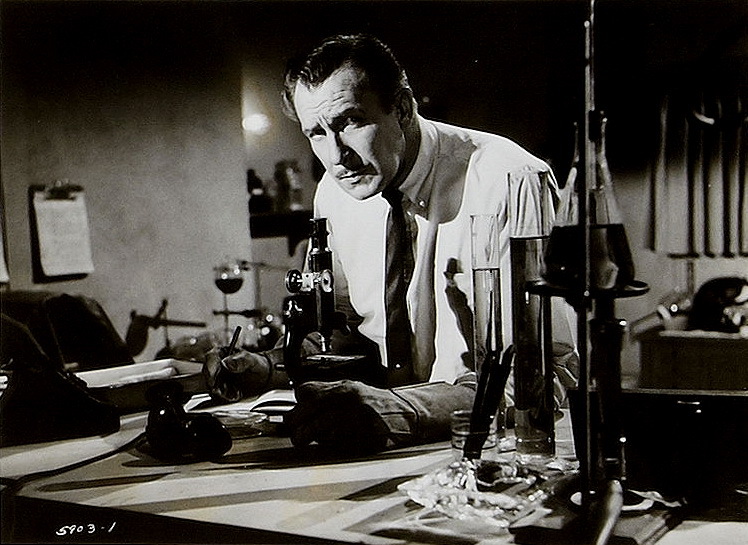 The Detective notices the cut glass on the door and figures that must be how the bat got in. Dr. Malcolm Wells: I phoned twice, weren’t you there Andy? Lt. Andy Anderson: No, but they called me. I have a man patrolling outside. Dr. Malcolm Wells: No one inside, Andy? Lt. Andy Anderson: Why should there be? That is a weird answer. There is a crazy man who tried to get in the house twice!!! There should be more policeman, not less. 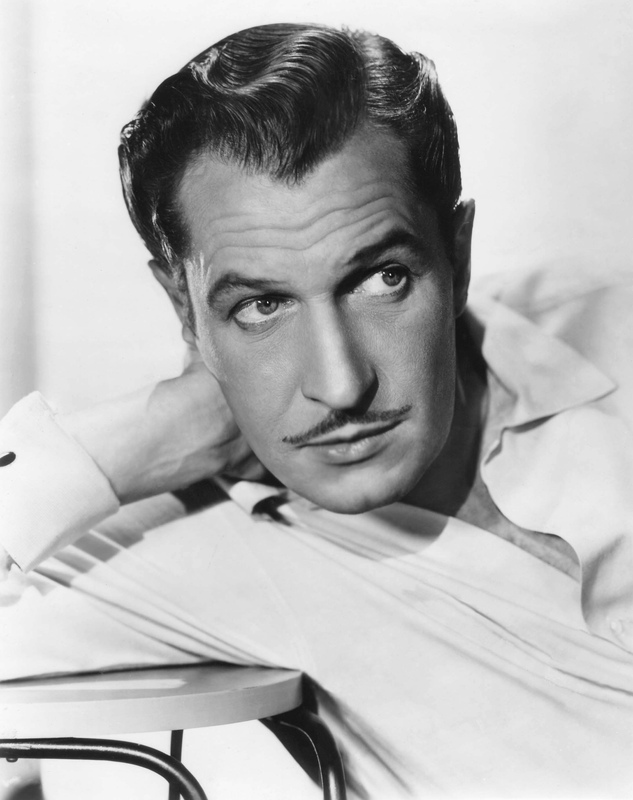 So I definitely think it is not Vincent Price, as it is too obvious. From what little I have read of Mary Roberts Rineheart is she tells you a mystery, giving you limited knowledge so she can do some big reveal at the end. 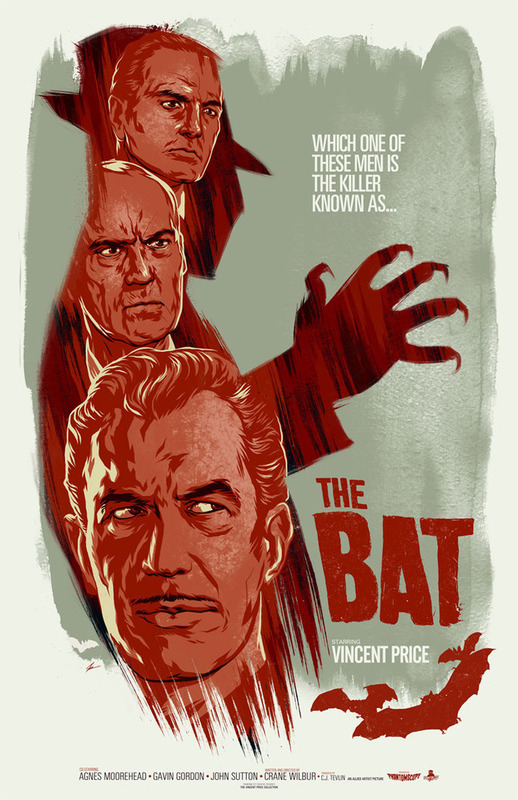 In my personal expertise in film watching, Vincent Price is far too perfect to be the Bat. My money is on Lt. Andy or the nephew we have heard so much about, but have yet to see. So the Lt. is quite sure that the Bat is not in the house as he suspects it is Dr. Malcolm, but decides to put someone in the house anyway. The next day the Lt. goes to see Mark Flemming, John’s nephew. He has just bought all new office furniture. Is he squandering his inheritance? Nope he hasn’t received it yet. The Lt. finds that strange as he left the whole fortune to Mark? But it turns out that the whole fortune is missing. What happened to it? Lt. Andy needs to find the missing million dollars. All his money was in the securities stolen, if he can’t find the money, he’s out everything. He suspects John Flemming, even though the only fingerprints on it was Victors Bailey’s. To the Lt., he knows John is wily enough to plant everything. Besides the secretary has some new evidence she will give at trial. At the Oaks the next day, there is quite a party. The secretary is there, getting a book from Cornelia. Dale Bailey is also there, hoping they might figure out a way to save him. The Dr. also comes to check on Lizzie. Cornelia has her chauffeur back and has a new employee, John’s old housekeeper Mrs. Patterson. They start discussing who took the money, and Cornelia believes it was John who did it. Judy agrees as she saw something that made her suspect him. 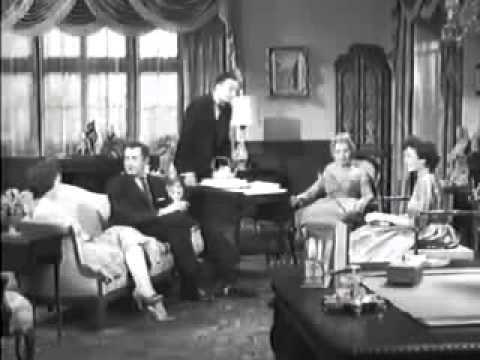 Cornelia suspects that if John were the one to do it, he would hide all the money in the house. There must be some secret room or safe. They need the blueprints to look it up. Dale decides to call Mark and ask if he has any blueprints. Mark was speaking with Lt. Andy, and when he hears Dale ask for the blueprints, he knows she is after the loot. Mark promises to come over that night and look for the blueprints in the house, also promising to call the Lt. if he does find them. That night the women are having dinner when Mark comes over and lets himself in. Weird. He was invited to the house so why is he sneaking around like a criminal. That means, he doesn’t want the girls to know he is there. He doesn’t want to share the blueprints, he wants them all to himself. But as he heads straight to the secret wall/compartment that holds them, the Bat starts creeping behind him. Mark finds blueprint, but the Bat kills him before he can ever make a sound. The Bat has the blueprints, but hears the women coming, and moves the clock in front of the compartment. He then takes off before the women spot him. They call police, the Lt. isn’t there. They call him in his car and he goes on his way. The Doctor also heads out there, and finds that the body has been dead for half an hour. The bell rings, and it is Warner the Chauffeur/Butler. He had to use the front door as he lost his keys. The Lt. question all the staff and doesn’t trust Warner, as they have met before. Where or when cannot remember, but will eventually. So that night all the women go to their rooms. Lt Andy promises to stay and protect them. But what if he is the Bat? The Lt. promises they will be safe with him. Yeah right! No one is safe from the Bat!! Warner is watching the police and doctor as they head to the door. Could it be because he is the Bat? The Dr. leaves, with the Lt. staying until the windows and doors are good, then promising to return in the morning. WHY???? WHY???? If he knows the Bat has been coming around, why would he do that. That night the Bat goes into the house. He cuts all the wires for the phones, making sure no calls will be made. 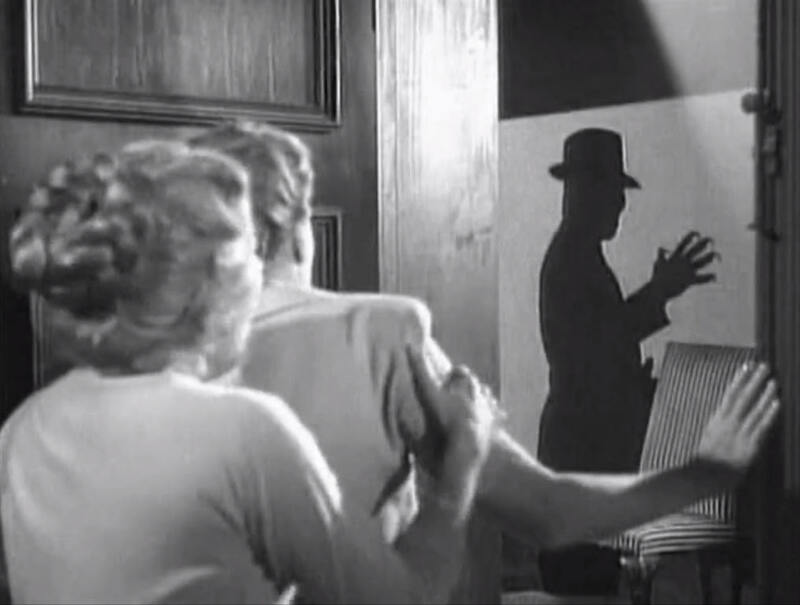 He goes into a room being used for storage, the women have all their suitcases and trunks in there. He starts banging on the walls, hammering them to find the opening. Meanwhile, the women all hear the noises which freaks them out. Cornelia tries to call the police but the phone won’t work. Meanwhile, Dale has decided she is going to investigate what that noise is. Her roommate Judy is trying to stop her, but Dale wants to save her husband, so she goes upstairs to look. She goes to the room and tries to look inside, the Bat hiding behind the door. 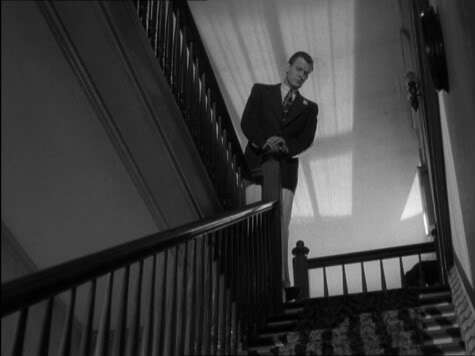 He pulls and tosses her in, running downstairs were Judy is, knocking her out of the way and down the stairs. Cornelia tosses something at his head, beaning him on the way out. 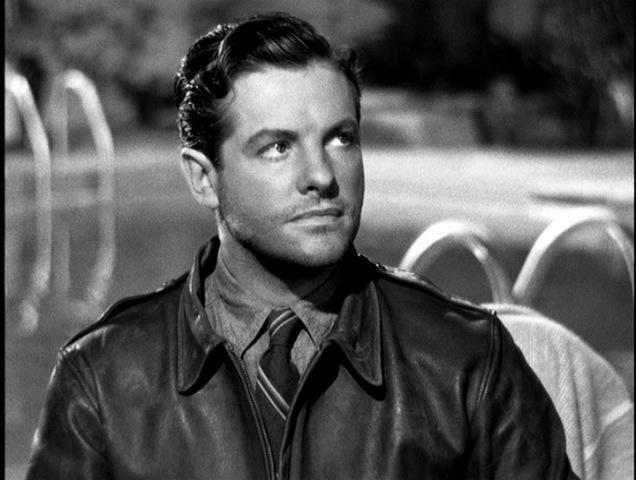 The Lt. comes back and heads straight for Judy. They ask him where he went as he was, and he said he was following someone out the back. They go looking for everyone, and can’t find Warner. He comes inside and says he was following the Lt. to help him, getting brained and knocked out. Was he? It turns out that the Lt. finally remembers where he saw him before. On a circular for wanted men. Warner claims he was tried and found innocent. Just as they are talking, the Dr. shows up. All three suspects in one area. But which one? They ask the doctor what he is doing back here, and he tells them he was in a car accident, and his wheel fell off in the ditch. He came to get help, as his head is bleeding. Hmm…? We go back to Cornelia dictating the story. The next night she decided she was going to pursue this mystery alone. She saw the police downstairs asleep, and heads up to the room where the Bat was w0rking on the walls. All I can think is why didn’t they try open it up in the daytime? While she goes up, we spot Warner walking around downstairs. Meanwhile, The Bat is in the Doctor’s lab. He is leaving suicide note, planning on killing the Doc and lying all the blame on him. But just as he finishes, who should show up but the Doctor, who doesn’t take kindly to this plan. He threatens the Bat. It looks like the Doctor will be murdering him like he did John. The Bat races toward him and the two begin fighting. The Doctor is shot accidentally, Bat leaves having completed mission. I knew it wasn’t him. That night, Lizzie wakes up looking for Corelia but can’t find her anywhere. She rushes downstairs and wakes the police officer up, looks like he’d been slipped a mickey tp be knocked out. She wakes up the housekeeper and asks her to fetch Warner. WE NEED TO FIND CORNELIA!!! So Cornelia is locked up in a secret room. The officer calls Lt. Andy but they are looking for him to investigate the murder of the Doctor. And it turns out that Warner is missing! Down to two! Who could it be??? They finally find Cornelia who is currently fainting from lack of air. When they get inside the Cop finds the control panel on wall and a safe. But just then the garage catches on fire! The detective wants to put it out, but Cornelia says to let it burn. Cornelia van Gorder: Can’t you see that fire was set to get us out of the house? Cornelia van Gorder: Yes, yes, I’m talking about the Bat! Now that the lights are out, he’ll think his trick has worked, and we’ve gone, here’ll be here in a minute. Detective Davenport: So will Lieutenant Anderson. Cornelia van Gorder: I hope so but the Bat will be here first, and he’ll KILL AGAIN if we get in his way… we’ve got to be as clever as he is! They wait in room, when the Bat comes creeping in door. 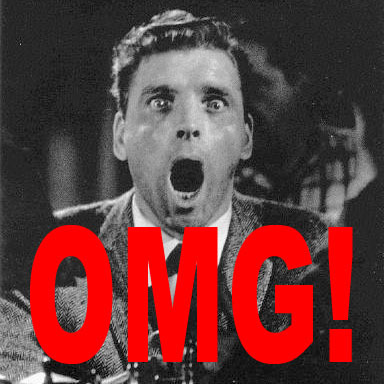 The officer gets knocked out and the Bat is about to shoot the women, when he is shot in the back by someone…who? It is Warner!!! He saved them!!! Yay, I liked him. And we see the Bat was the Lt. after all. He did it so he could get his money back. The only question I have, was he the orginal murdering Bat? Or was that a persona he choose to throw suspicion off himself? I guess we won’t ever know.